Hey, What’s going on guys? My name is Akash and today I’m back with another game! This time, It’s a scary one! So, Are you ready to play one of the scariest game ever made? Well then, Let’s cut the intro and talk about the game. Before talking deeply about the game I want to warn you guys that this game isn’t for light-hearted peoples or those who gets scared relatively easily. Well, To start thinks off, let’s talk about the story of the game so that you can get an idea of what’s this game is all about. 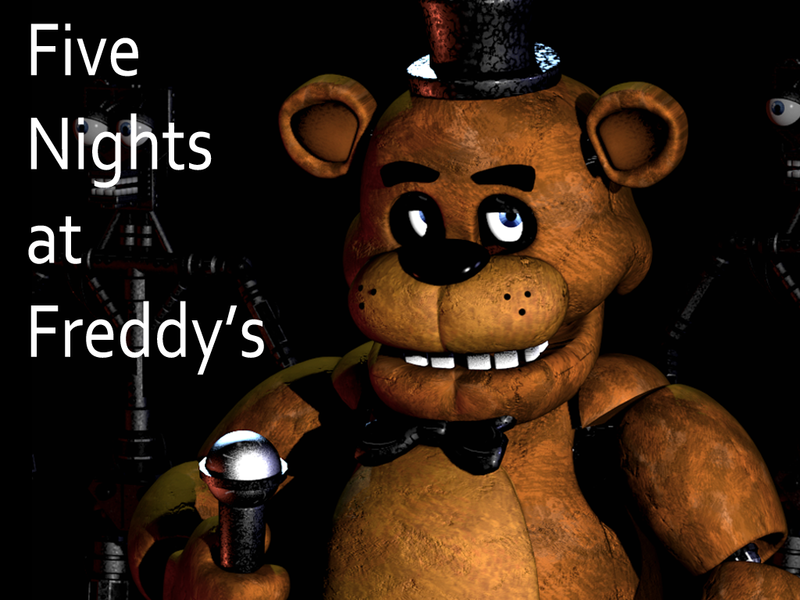 Freddy Fazbear’s Pizza is a kid’s pizza joint where parents and their children’s eat pizza’s and spend their weekends. But, This isn’t any normal Pizza joint! To make this place stand out from the others This place has it’s own cute Party band! Which sings songs for children’s and even play with them. 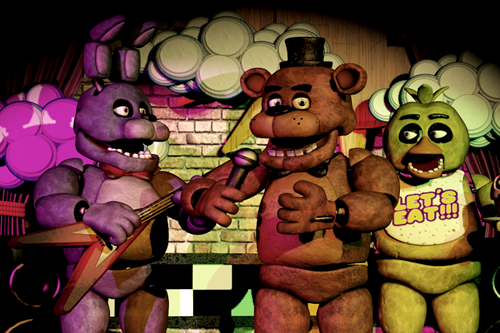 This band stars the Pizza joint’s mascot “Freddy” along with his friends “Bonnie” (The bonny) and “Chica” (The chicken) These are kid-friendly robots (Animatronics) and are the main attraction of this restaurant. “Why would I be in a place like this in night hours?” you’ll say, Because YOU are in charge of the security of this Pizza place! Yes! 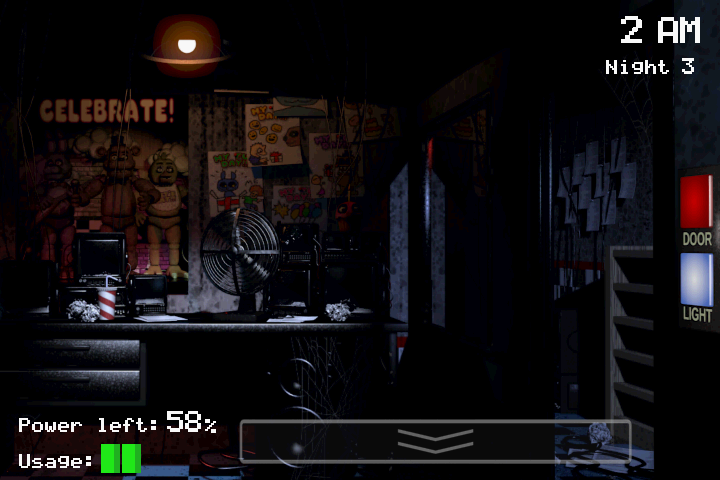 You need to watch on these animatronics’s at night from 12am to 6am using the Camera’s installed around the facility. And to make things even worse you have a limited power supply that is required for you to survive. 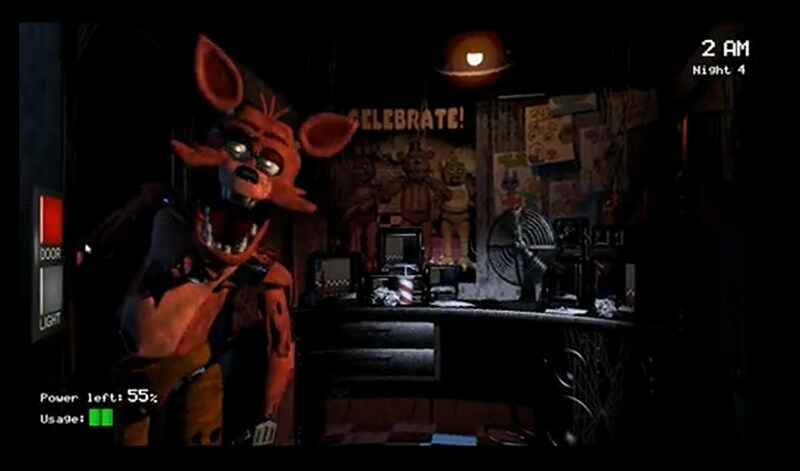 Animatronics’s are normal during the day time but they go a little wild during the nighttime, It’s your responsibility to look over them so that they won’t damage the facility and YOU. 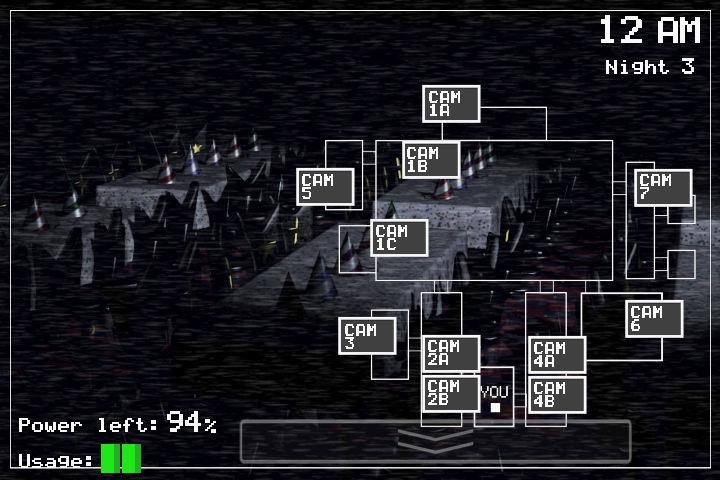 Due to the programming of these Animatronics’s when they see you, they think you’re an endoskeleton (a type of a metal suit stuffed inside them that allows them to move) like this. Looks creepy huh? 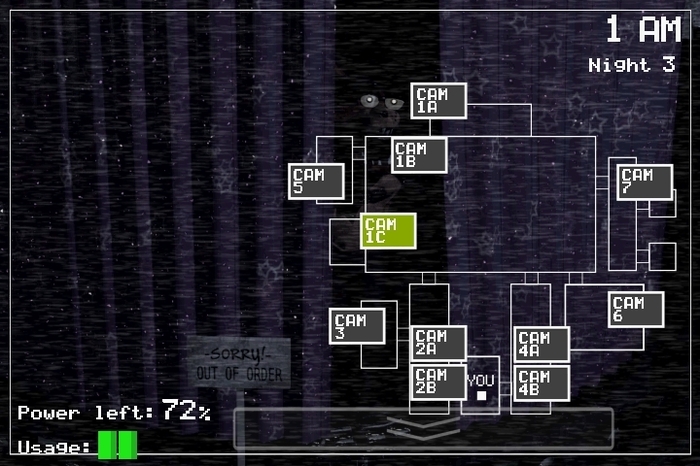 Well, this is what they see YOU as, And they think it’s good to stuff you inside an Animatronic suit Which is a bit painful because the suits aren’t made to fit a Human inside them. That’s why you should protect yourself from these creepers to come and catch you, because if they do. It won’t be pleasant. And that concludes the intro of the game and it’s franchise, Now the main question is will you play it? Or you aren’t interested? Well, if you’ve made it till here I guess it’s at least worth a try. 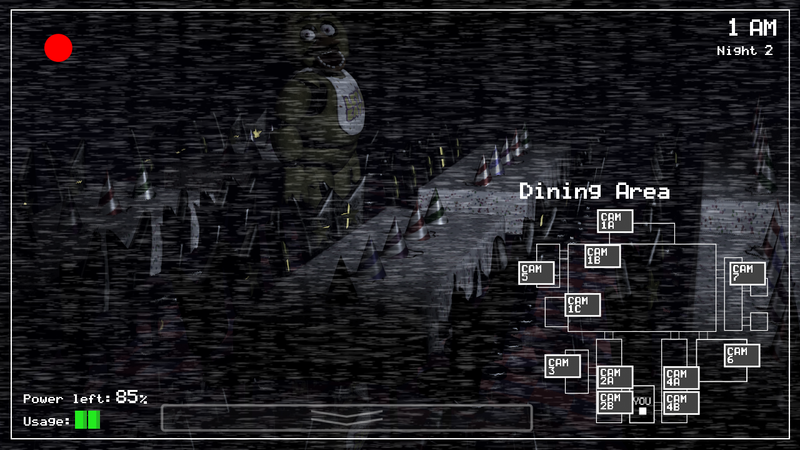 Welcome to your new summer job at Freddy Fazbear’s Pizza, where kids and parents alike come for entertainment and food as far as the eye can see! 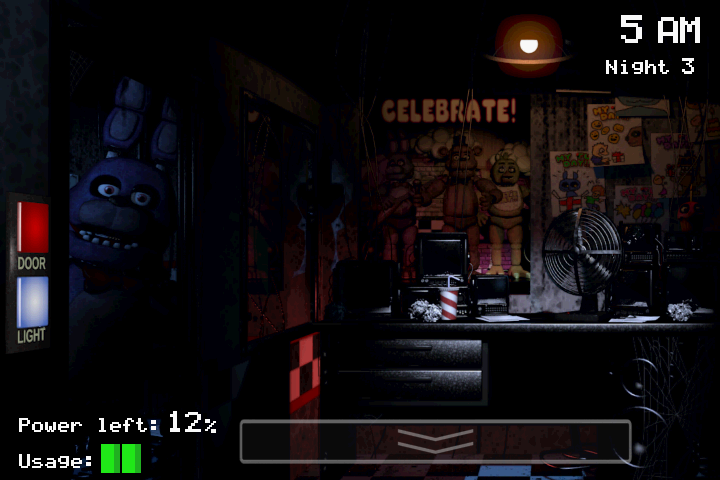 The main attraction is Freddy Fazbear, of course; and his two friends. They are animatronic robots, programmed to please the crowds! The robots’ behavior has become somewhat unpredictable at night, however, and it was much cheaper to hire you as a security guard than to find a repairman. From your small office, you must watch the security cameras carefully. You have a very limited amount of electricity that you’re allowed to use per night (corporate budget cuts, you know). That means when you run out of power for the night- no more security doors and no more lights! 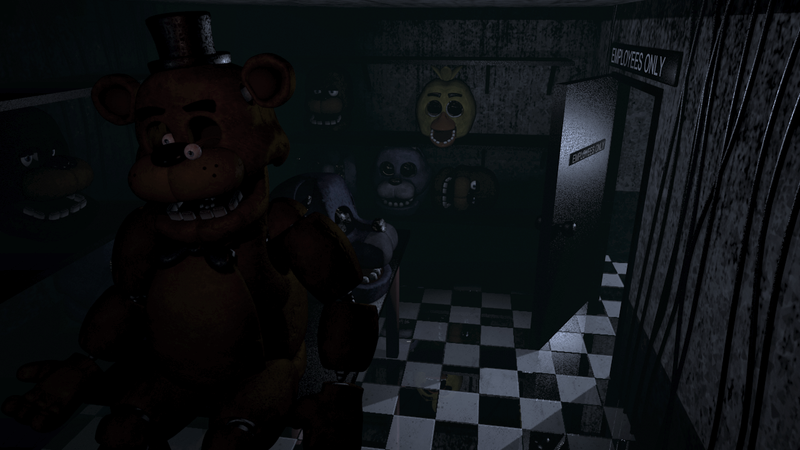 If something isn’t right- namely if Freddybear or his friends aren’t in their proper places, you must find them on the monitors and protect yourself if needed!